Coach is a modern international design house that makes luxurious and well-crafted leather goods for men and women. Aside from shoes and bags, this brand also has lifestyle collections consisting of signature apparel, accessories, footwear, eyewear and fragrance. The company was founded by husband and wife Miles and Lillian Cahn in 1941 in New York City. It originally operated under the name Manhattan Leather Bags and was set up as a family workshop with six artisans. Over 960 Coach stores with over 13,000 employees operate worldwide. Its Creative Director, Stuart Vevers, won the Accessory Designer of the Year awards from the Council of Fashion Designers of America and the American Apparel & Footwear Association in 2017. 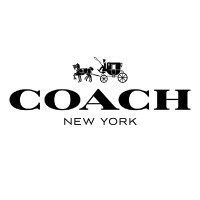 Employees at Coach receive attractive benefits and pay packages, health insurance, paid time off and vacations, 401(k) retirement plans, flexible hours, employee discounts, training, and free meals. This company is considered as a good employer because of its competitive compensation, supportive management, generous incentives, and positive work environment. There are opportunities for growth and room for advancement. This company hires applicants who are at least 18 years of age. Local labor laws and regulations apply to those with age restrictions covering hiring and employment. There are plenty of entry-level and mid-level careers available for interested applicants. As a design house, there are career areas in design, retail, marketing, merchandising and customer service. Technical Design Associate: This employee communicates the technical design aesthetic intent and maintains the elements of the design card. These elements include dimensions, materials, sketches, hardware, and thread list. He is tasked with reviewing samples for corrections and maintaining established standards. This position requires high proficiency in Adobe Illustrator and CAD. Allocator: This position is responsible for allocating, analyzing, and managing inventory throughout outlets, distributions, and stores. Allocators work closely with other functional teams to devise distribution strategies, mitigate inventory risks, and ensure reflow of monthly shipments. This employee compiles reports and analyzes extensive data to drive gross margins in in-store and e-commerce sales. Associate Buyer: This employee spearheads open-to-buy planning and calculation to ensure category and product assortments. He is responsible for quarterly buys based on extensive analysis of customer feedback, trends, local market knowledge, competition, and product performance. He also partners with several teams such as marketing, management, and allocation to ensure that financial goals are met and inventory are managed. Product Development and Production Coordinator: Coordinators build, direct, and maintain Bills of Materials. They oversee the product development cycle, ensuring that timelines and orders are met as scheduled. Coordinators need to be highly meticulous, detailed, and organized in tracking, updating, and coordinating samples, handling and shipping materials through UPS and DHL, and working with domestic and international factories as needed. Customer Care Team Leader: This employee leads a team of customer service representatives in ensuring positive customer experiences in-store and online. He coaches and motivates customer care associates in meeting their personal, team, and departmental goals. Other tasks include: maintaining quality, providing feedback, implementing objectives, cascading best practices, and maintaining performance records for associates. Retail Marketing Associate Manager: This manager will be in charge of identifying, recommending, developing and conducting marketing strategies and initiatives for retail stores. Retail marketing managers are tasked with collaborating with multiple teams such as sales, communications and marketing to achieve brand leadership and to ensure that strategic initiatives are streamlined and synergized. Merchandising Assistant: Merchandising assistants are responsible for managing assortment development sheets and timelines for sales and seasonal milestones. They are also in charge of the product lifestyle process and overall strategy. They act as liaison between multi-channel teams and visit stores to engage with customers. They monitor trends and customer feedback to ensure competitive assortment planning. Design Apprentice: Applicants for this position will undergo intensive training on the development, design, and management process of the Design Team. They will also learn about tracking the product lifecycle system, creating Adobe Illustrator designs, coordinating sample materials for bags, footwear, jewelry and accessories, and organizing rooms for presentations. The training program ends with a presentation of a final project. Print Designer: These designers are responsible for creating original prints that follow brand and seasonal aesthetics. They work with the Senior Designer and are expected to come up with concepts, oversee design and product development, and provide a variety of sources for materials. They also coordinate with the print team on concept layouts and with the Merchandising for seasonal displays. Assistant E-commerce Manager: This manager provides support administration to ensure that financial and performance business targets are met. Assistant managers for the e-commerce area oversee the management of the online shop. They provide updates and maintenance. They also work with the creative teams to source photos for product features and other creative assets. Interested applicants looking at the company’s official website will be redirected to the website for Tapestry, a house of brands that own Coach and other luxury fashion brands. Only online applications are accepted. You would need to create an account and register with the website to move forward with the job application process. The registration form is fairly simple with fields for email address, password, and other information. Tick the option to make your profile visible to relevant recruiters (any, in country of residence, or job-specific recruiters). When submitting a resume, make sure that it is tailored for the position you desire. Be sure that it is reader-friendly and not cluttered. It should be focused on clear accomplishments that make you perfect for the job. If invited for an interview, dress appropriately and come on time. Be friendly and enthusiastic. Make sure that you are prepared for questions, but do not sound rehearsed or arrogant. Employees feel positive about the benefits, discounts, and flexible time offered by the company. Although there is competition among employees, the company ensures proper recognition and reward for top performers. Managers are very competent and workers are upbeat and passionate. The fashion brand recently introduced the 2018 Spring/Summer campaign which is inspired by late artist/activist Keith Haring. His style made use of blockish, urban motifs and vibrant colors inspired by 1980s New York street culture. As an established New York-based fashion house, Coach is known for its modern and hip luxury aesthetics. They purposefully shrank the number of stores in 2014 to refocus on quality, making handmade luxury products for a slightly more ‘approachable’ price. Part of their corporate responsibility, The Coach Foundation has given more than $40 million to women’s health and child education charities and organizations, cultural programs in New York City and to disaster relief worldwide. 1 How old do you have to be to work at Coach?